Get swept away in the colourful stories of coal mining, rum running, and rockslides in this mining town. This town has a story to tell. As a mining town it witnessed several disasters throughout its history including a deadly rockslide and a fatal mining accident. These incidents among others provide many colourful stories. Check out the Bellevue Mine tour, where visitors don a hard-hat and miner's lamp and descend underground into an old coal mine. An oasis in the 'desert' of Southern Alberta, this parkland straddles the Saskatchewan and Alberta borders, and offers outdoor activities for everyone. With cooler temperatures and more rain than the rest of the grassland region, this park supports an astounding array of flora and fauna such as pines, aspen, wetlands, moose, deer and squirrels. It is the highest point between Banff and Labrador, and visitors can spend the day golfing, cycling, playing tennis, hiking, playing at a variety of water sports, horseback riding, skating, or skiing. Everyone is dwarfed to childlike stature at this mind-boggling attraction, hosting one of the most extensive collections of fossil beds in the world. 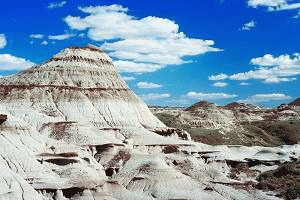 The area surrounding Drumheller is the largest area of badlands in Canada, and Drumheller grew from a miner's town to one of the most visited sites in the province! This exciting spot is not only for science buffs - it is wildly interesting for people of all ages and interests because of its amazing collection of dinosaur bones and eggs. The Royal Tyrrell Museum of Paleontology hosts life-size models, full skeletons, fossils, hands-on exhibits, films, and an indoor science garden that illustrates millions of years of geological and biological progressions. Fill your water bottle, and check out the nearby Horseshoe Canyon, Canada's own Grand Canyon, where 70 million years of history is carved into the land. A drive around the East Coulee and Hoodoo Trail reveals sandstone columns capped by a hard rock (the 'Hoodoos'), as well as the mining town of East Coulee, where all the above-ground buildings have been preserved as they were when the mine was closed in the early 1980s. Book accommodations in the Drumheller area and embrace your inner child as you explore this dinosaur home closely. Ever wondered just how the Indian tribes steered the buffalo over the jump to their death? Find out at the Head-Smashed-In Buffalo Jump, a world heritage site as designated by UNESCO (United Nations Educational Scientific and Cultural Organization). Designated a world heritage site by UNESCO, the Head-Smashed-In Buffalo Jump in Fort Macleod celebrates the hunting techniques used by natives for 6,000 years. Natives used to steer massive herds of buffalo towards the jump in order to kill them for food and supplies. Tour guides are members of the Blackfoot Nation, and guide visitors through the interactive center, which is built into the cliff and has seven levels of displays. The thriving center of Southern Alberta, Lethbridge is abundant in agricultural resources. Lethbridge is Alberta's third largest city, with several urban parks as well as the stunning complex of the University of Lethbridge, designed by Arthur Erickson, a renowned Canadian architect. Whoop-up Days in August celebrate the city in a traditional way, with a popular rodeo. Discover more about First Nations history in the world's tallest teepee. Prepare to see the most picturesque views around in this special location where the open prairies meet looming distant mountains. A hidden gem only beginning to be truly discovered. On the edge of the Rockies, but still in the Alberta prairies lies the stunning Waterton Lakes National Park. With breathtaking views that are post-card worthy, visitors will not be disappointed. Stay in a Waterton Lakes National Park area accommodation and relax, or take part in the hiking, golfing, fishing, boating, cycling and skiing offered. Keep the camera ready to catch squirrels, marmots, deer, bears, bison, and thousands of waterfowl on film. Our inn is located in Bassano. We offer single or double rooms with kitchenettes and executive suites. Each of our properties also includes a presidential suite. Our rooms include air conditioning, wired & wireless access to high speed internet. Our facility includes a fitness and laundry service during your stay. Also enjoy our complimentary breakfast to start your day. Our Nanton Bed & Breakfast is a peaceful year-round getaway. We are an easy drive from Banff, Kananaskis country, Head Smashed in Buffalo Jump, Waterton and Dinosaur Provincial Park. Our purpose built B&B has comfortable season themed guest rooms. Hot or cold breakfast with freshly baked breads - Wheelchair accessible - washrooms on the ground floor - Free Wi-Fi - Private ensuite bathrooms. Our Strathmore hotel is located conveniently off the Trans Canada Highway. Strathmore's newest accommodation offers free hot breakfast, business services, high speed internet, fitness facilities, and a pool (with a hot tub and water slide). For leisure or business, we are confident our facility and service will exceed expectations. We are 30 mins from Calgary and under an hour from Drumheller.